Comment: I have an issue on a corner of my home foundation that a previous owner patched with stucco. That stucco has broken away and revealed a chipped/impressed/flawed area in the foundation that is about an inch deep and over a foot in length. I need to get this repaired. I would like to get a quote. Can you come check it out and quote a repair? 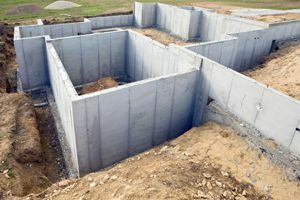 Comment: Need to have a short block wall with stone facing to be removed (used for a raised garden area), area cleared of rocks & weeds, yard sprinklers removed, and have a 15' x 20' concrete pad poured, 4" thick. To be used for a storage shed. Las Vegas Foundation Contractors are rated 4.89 out of 5 based on 44 reviews of 8 pros. Not Looking for Foundations Contractors in Las Vegas, NV?